Why should you care for leather? What has leather conditioner to do with environmental protection? How do I get my shoes to shine? What saddle soap is best suited and most available for saddles? Anyone who wants the answers to these questions and wishes to learn more about the history, application, and benefits of leather care will want this standard and very successful work. 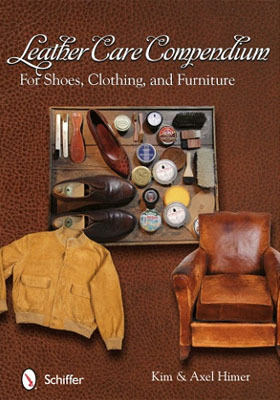 In many of the over 600 beautiful images, custom shoemakers Axel and Kim Himer show how to expertly maintain leather shoes, furniture, bags, automotive leather, coarse and fine leather, watch bands, saddles, horse tack, suede, and more.